The leadup to the presumed upcoming welterweight title fight between champion Tyron Woodley and challenger Colby Covington is going to be ugly, but this is the fight that has to happen. After tapping out Darren Till in devastating fashion to defend his title at UFC 228, Woodley’s next opponent should be Covington, who was recently stripped of the interim title he won against Rafael dos Anjos at UFC 225. With the UFC needing a main event for both UFC 230 and UFC 231, these two rivals could be in line for a quick turnaround, and if that’s the case, fans should be ready for a lot of trash talking in the leadup to the fight. Both Woodley and Covington have been rivals for a few years now. The two were former training partners at American Top Team but when Covington rose up the ranks and Woodley won the title, the two became rivals. They have traded barbs in the media the last few years and were supposed to fight each other a couple of times, but the fight was never made official and to date both men haven’t met each other. Now though, with Woodley the defending and reigning champ and Covington the legitimate No. 1 contender at 170lbs, this is the fight that absolutely has to happen next. 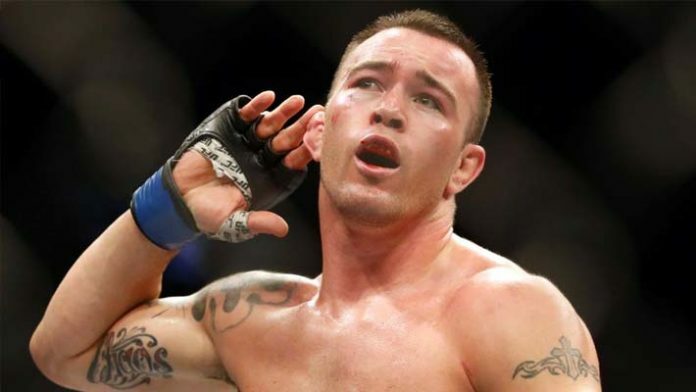 Covington once again called out Woodley following his win over Till at UFC 228, and although the fight hasn’t happened in the past for whatever reason, it seems likely it will happen now. Sure, a guy like Kamaru Usman — who recently served as a backup opponent for the UFC 228 main event — isn’t going to like Covington getting the title shot next, but as the former interim champ and having the pristine record that Covington does in the Octagon, it’s hard to argue he doesn’t deserve it. Having said that, there’s no doubt the leadup to this fight is going to be really ugly. Both Woodley and Covington are two of the most outspoken fighters on the roster today, especially in regards to politics, as the two are polar opposites when it comes to the policies of U.S. president Donald Trump. There’s no doubt Trump, who has a history in MMA, is going to rear his head into the picture That’s going to help this fight become bigger than it already is, but it’s also going to guarantee things get heated between Woodley and Covington. Things are going to get personal and turn ugly quick, but that might even help make this a bigger fight than it already is. Both Woodley and Covington have been itching to fight each other for a while now, and after Woodley tapped out Till at UFC 228 it looks like this could be a fight that happens really soon. Fans have been waiting for a while for these two to throw down inside the Octagon, and based on interviews with both men following UFC 228 it seems like this is what both men want next, and we all know this is the fight the UFC wants next. Not only does this have the potential to be a really good stylistic fight, but the buildup and the media between these two in the weeks leading up the fight are going to be amazing to watch. The fight could happen sooner rather than later with the UFC needing main events for a couple upcoming pay-per-views this fight could happen very shortly. It’s nice to finally see Woodley back healthy and defending his belt as the welterweight division is one of the most competitive weight classes in the sport today, and this future title fight between Woodley and Covington is going to be amazing.